UPSC has released cut off marks for Combined Geo-Scientist and Geologist Examination 2018. 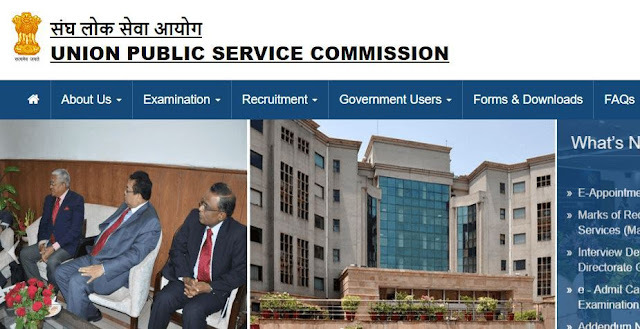 UPSC Combined Geo-Scientist and Geologist Examination 2018 Cut Off: Union Public Service has been released cut off marks for UPSC Combined Geo-Scientist and Geologist Examination 2018. Candidates who appeared can check cut off score. And candidates who are wishing to appear can also check cut off score as it help them to get an idea of minimum qualifying score. # For the posts of Geologist and Jr. Hydro-geologist, subject to minimum 20% marks in each paper for Non-PwBD Candidates and for the posts of Geophysicist and Chemist, subject to minimum 15% marks in each paper for Non-PwBD candidates. For PwBD Candidates subject to minimum 5% in each paper.